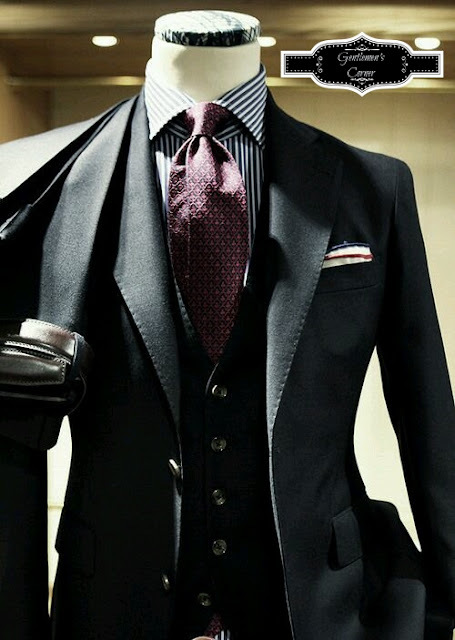 Gentlemen, here we have another fine example of a Business Suit. As you can see in the Picture one of the Eye catchers are the stitches on the edge of the Revers. Another is for sure the Tie. This... is Business with Style.